We are committed to using resources that can be indefinitely recycled. Each piece is finished with two-coats of environmentally-friendly acrylic Environ paint that is low-VOC and virtually maintenance free. Aluminum siding is fire-proof, termite-proof, fade resistant, and because it resists corrosion and moisture it won't red-rust, rot, split, warp or crack. The durable acrylic finish will not peel, flake or blister. 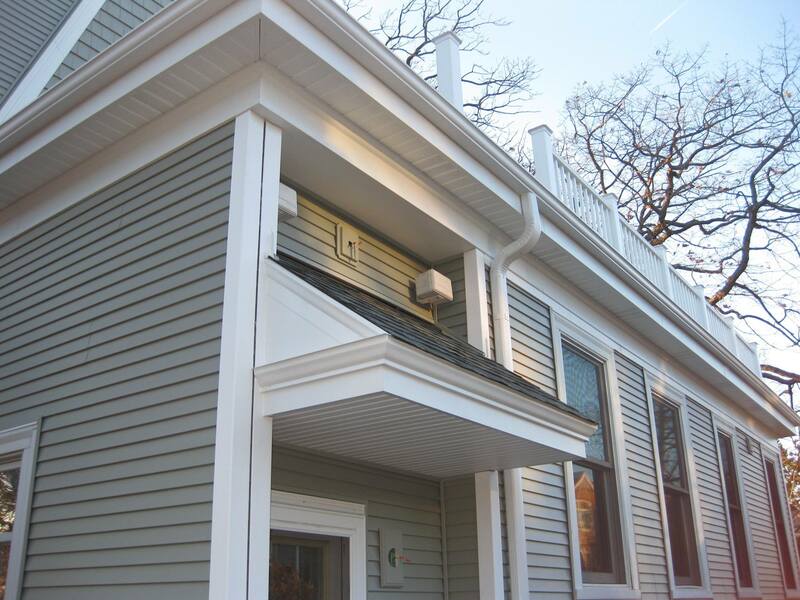 Rollex has aluminum siding in a style to fit your home's architectural character. Select from the styles designed to give you the appearance of natural wood board sidings, without the costly and time consuming maintenance of actual wood siding. Aluminum siding is fire-proof, termite-proof and fade resistant. Because it resists corrosion and moisture it won't red-rust, rot, split, warp or crack. The durable acrylic finish will not peel, flake or blister. Rollex has aluminum siding in a style to fit your home's architectural character. Select from styles designed to give you the appearance of natural wood board sidings, without the costly and time consuming maintenance. 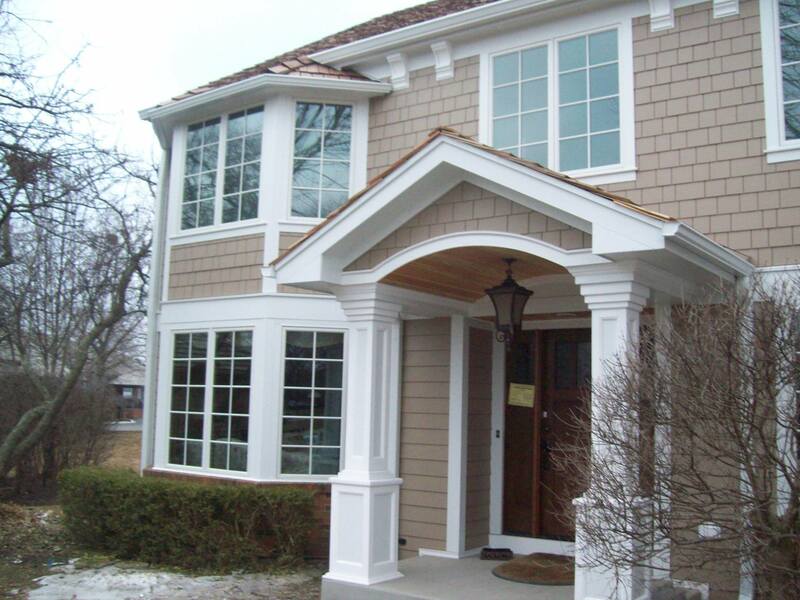 Renovax is Chicagoland's expert in aluminum siding installation and repair. We believe aluminum siding is an excellent choice for your home's exterior as it is fireproof, termite-proof, fade resistant, and corrosion resistant. Aluminum siding does not require frequent repair since it will not warp, crack, or split. Our two coats of environmentally-friendly, acrylic Environ paint provide our siding with color that does not peel, flake, or blister. Aluminum siding can help provide your home with character, even giving your home's exterior the appearance of natural wood board siding. 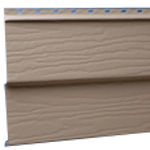 Choose between Double 4" Horizontal, Double 5" Horizontal, Single 8" Horizontal, and 12" Vertical siding. Some sidings give your home a more contemporary look, while others lend themselves to more traditional looks. Though our high quality siding will last a long time, there will come a day that you need to fix aluminum siding. We are highly skilled at the aluminum siding repair. Siding repair is especially important in areas with inclement weather, such as Chicago. The moisture from rain or snow can easily damage the structure beneath improperly installed or siding on which repairs have been neglected. It is a type of maintenance that comes along with homeownership, but we know that repairs can get expensive - so we strive to offer the most affordable rates we can and offer free estimates. Every home is different, and we are happy to provide assistance in determining the type and color of siding to help you achieve your dream home or repair damaged siding. Renovax believes that aluminum siding is a strong choice for any home's exterior. It is a very durable choice that is resistant to fire, termites, fading, and rust. 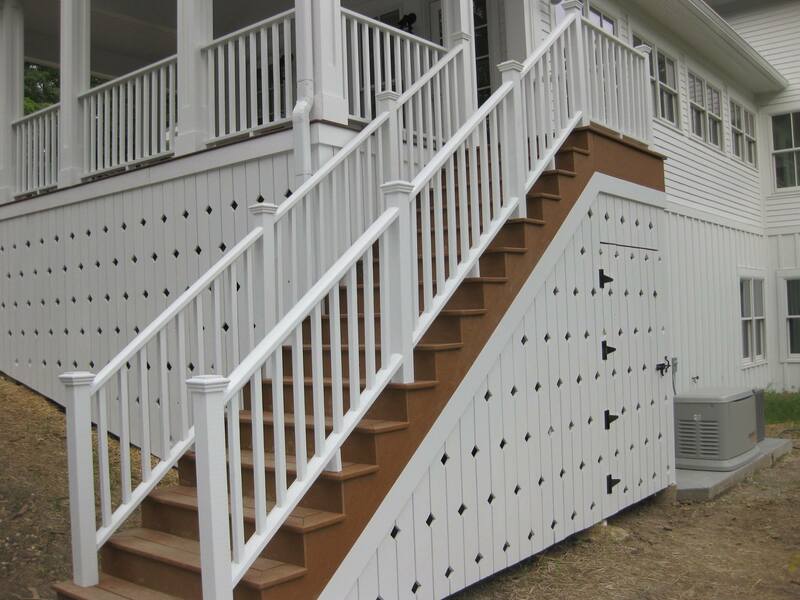 Each panel of siding is finished with two coats of acrylic Environ paint that is essentially maintenance free. This aluminum siding is designed to give you the appearance of natural wood boards, but unlike wood this siding will not split, warp, or crack. There are various size options available. Some are well suited for traditional homes, while others lend themselves better to larger homes. All of our siding is available in various color options, allowing you to find the option that best suits your aesthetic tastes. Renovax loves to make homes look their best. Be sure to ask us to help you pick the best color for your home. 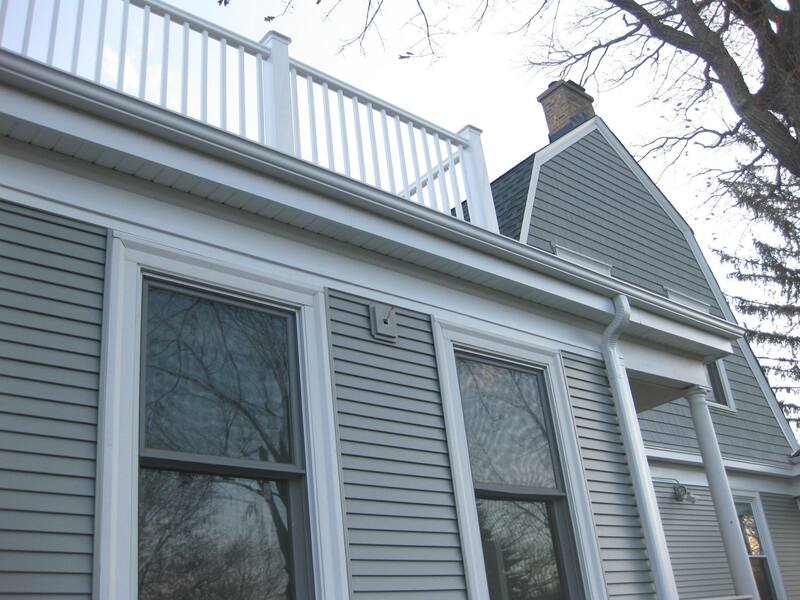 Aluminum siding is a highly popular form of siding for Chicago area homes. 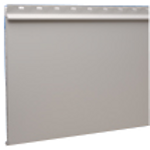 It is an excellent siding choice due to its fire resistance and fade resistance. As with any type of siding, we highly suggest installation be performed by a professional. Renovax aluminum siding contractors are just the people for the job. We are highly skilled at aluminum siding installation, and our years of experience mean that we can complete the job quickly and efficiently. Our rates are affordable, meaning that no matter what your budget is, we can help you achieve the house of your dreams. Call today! We will always provide you with high quality work at a reasonable price. A narrow profile that works will with traditional homes. Woodgrain finish. 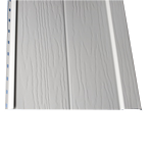 A slightly larger exposure than double 4", this traditional woodgrain clapboard siding is well suited for larger homes. A clapboard siding with a wide profile that showcases both contemporary and traditional homes. Smooth or woodgrain finishes available. Also called "Board and Batten" siding, it lends a rustic effect when used as a full house siding, treatment or accenting for entryways and gable ends. Woodgrain finishes in Deep Brown or Snowmist white.